The Scanlon Foundation Surveys 2015 Mapping Social Cohesion Report has been released today, and it has produced some very interesting findings. “At the Federation of Ethnic Communities’ Councils of Australia (FECCA) we promote multiculturalism as intrinsic to being Australian. It is very promising to see that a high proportion of Australians support multiculturalism”, said FECCA Chair Joe Caputo. An overwhelming 86% of respondents agreed that multiculturalism has been positive for Australia. Overall there was also a heightened acceptance of immigration and cultural diversity. A majority of Australians felt immigration has strengthened society, however this sentiment was held more firmly with Australians aged 18 to 34 compared to those aged 60 and above. Younger Australians also felt more positive about the use of temporary skilled workers, with 67% in favour, compared to 44% of older Australians. An increasing number of Australians support government assistance to help culturally and linguistically diverse (CALD) communities maintain their cultures and traditions. This increased to 41% in 2015. Similarly, close to two-thirds of respondents felt that Australians should “do more to learn about the customs and heritage of ethnic and cultural groups in this country.” A quarter of respondents felt the onus was on migrants to adjust to life in Australia. The findings of this years’ survey indicated a lowered experience of discrimination. However, the findings specified a generally negative skew towards certain religious groups, particularly Muslims in Australia. The personal attitude concerning Muslims was recorded as 11.3% as strongly negative and 11% as negative. FECCA encourages the support of all people, regardless of their cultural, linguistic or religious background and hope this trend will lower. FECCA reiterates its dedication to promoting respect and understanding to nurture multiculturalism, and build healthy, strong, engaging and prosperous communities. Joe Caputo said, “All Australians should take steps to combat racism and discrimination in our society”. FECCA is also disappointed to see that there has been no significant change in attitudes towards asylum seekers. Australia has committed to ensuring all asylum seekers and refugees have a right to seek asylum, irrespective of how they arrive or whether they hold the valid travel or identity documents. We hope to see this trend change in the future. Media Comments: FECCA Office – (02) 6282 5755, media@fecca.org.au. The Federation of Ethnic Communities’ Councils of Australia (FECCA) will ‘Say Welcome’ and Walk Together on the 31 October, as part of Welcome to Australia’s annual celebration of Australia’s diversity. 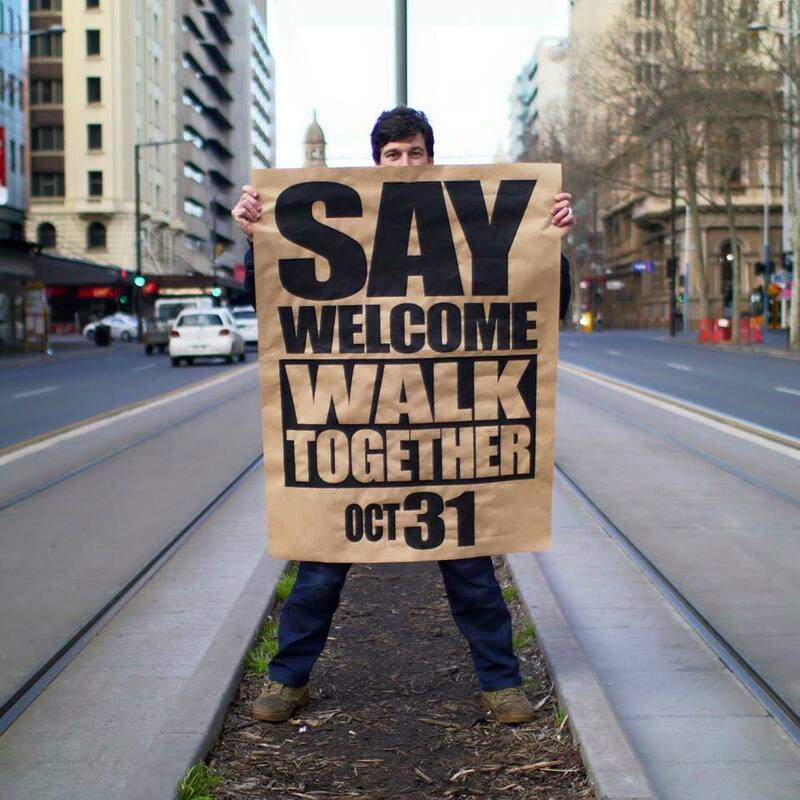 Following a rise in divisive rhetoric, racially and religiously motivated attacks and an increase of instances of fear and prejudice, Walk Together aims to ‘Say Welcome’ and celebrate Australia’s cultural and religious diversity. Walk Together will take place on Saturday 31 October at 11:00am in more than 20 cities and regional centres across the country. This year’s theme is ‘Say Welcome’. FECCA encourages everyone to join this year’s celebrations in a show of solidarity. For more information click here. The Federation of Ethnic Communities’ Councils of Australia (FECCA) believes that last year’s debate on the issue of section 18C of the Racial Discrimination Act was extensive and does not need to be re-opened; with an overwhelming community response against changes to the Act. Reinvigorating this conversation has the potential to deeply and harmfully impact on diverse communities in Australia. Last year, thousands of community members and their organisations expressed fear that the proposed repeal of 18C would strip protection from the most marginalised members of our society and threaten social cohesion in Australia. FECCA Chair Joe Caputo said, “Strong protections against racial vilification are needed, especially now as we are seeing negative rhetoric being used towards certain communities. This matter was wholly debated during 2014 and the overwhelming majority of communities rejected the watering down of the anti-discrimination legislation”. In 2015 we are commemorating the 40th anniversary of the Racial Discrimination Act (RDA). The RDA is a landmark piece of legislation that underpins the essence of our multicultural society and is integral to preserving Australia’s identity as a diverse, inclusive and democratic nation. FECCA reiterates its strong opposition to weakening the provisions that are critical in eliminating intolerance and nurturing harmony in Australia’s culturally diverse society through effective protections of vulnerable groups. The Federation of Ethnic Communities’ Councils of Australia (FECCA) is undertaking a project on new and emerging langues in Australia. This research will including identifying the relevant language groups, the language services needs of community members, how adequately these needs are addressed through the provision of qualified services, and any incentives or deterrents to obtaining interpreting qualifications in these languages. To inform our consultation we have produced an issues brief on language services. You can read the brief here. We are interested to hear from new and emerging community members, language service providers, and bilingual workers. If you are interested in speaking to us about this project, please contact Senior Policy and Project Officer Erin Gillen.